As I sit here bleary eyed after a looooooong night reviewing a laborious software agreement and sipping a double espresso, I find myself having to double take. Am I going mad? Am I seeing this right? Does that say “VOQUE“ or “VOGUE“?! 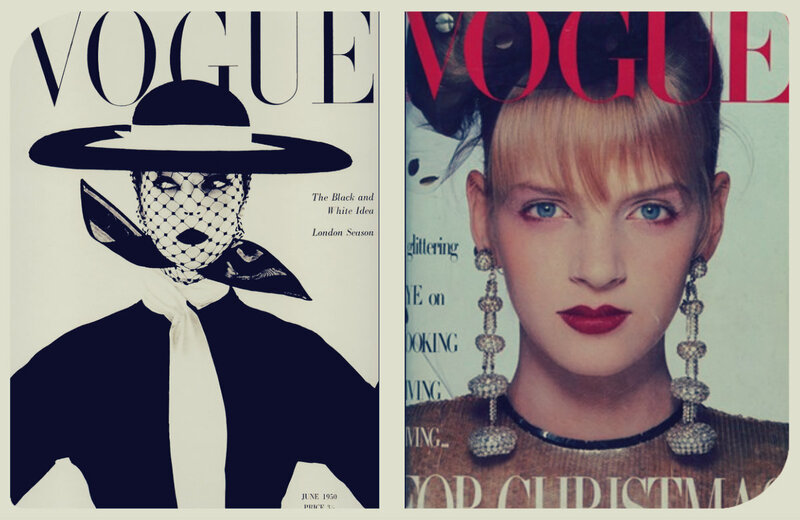 Vintage Vogue from June 1950 (left) and Christmas 1985 (right). VoQue Limited is a wholesale fashion company with a UK registered office. The company is two years old and reported a 2014 turnover of £10,000. Hot on VoQue’s heels, the fashion bible VOGUE was not too happy about this and quickly opposed the VOQUE application in December 2013. • would cause misrepresentation and damage to the holier than thou publication under Section 5(4)(a) of the Act! • VOQUE means “evoke” or “awaken” in French and is different to VOGUE’s “fashionable” or “popular” meaning. No surprises, Condé Nast’s opposition was upheld. Nice try VoQue!! • VOGUE is distinctive given its reputation and the fact it is not entirely descriptive when used on the iconic publication. 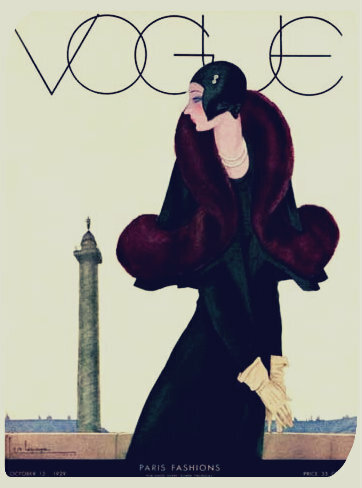 Founded in 1892, Vogue has been at the forefront of fashion publications for well over 100 years! This example is from the 1920s Art Deco era. The application for the VOQUE mark was therefore dismissed and VoQue Limited was ordered to pay the costs incurred by Condé Nast. • the typeface used by VoQue is not unusual, in fact, Condé Nast would be well within their rights to use their VOGUE mark in the same style. Interestingly, had VoQue managed to slip this one past VOGUE (unlikely!) thereby obtaining registration status, only for VOGUE to then challenge the registered mark at a later date, VOQUE would have been revoked (ironic huh, or just a really bad joke!?)! After reading the case first and foremost, I’m pretty pleased I don’t need my eyes testing, but the lesson to learn from all of this is that it’s risky business basing your branding on a similar, earlier and well established registered mark. There’s only one VOGUE!